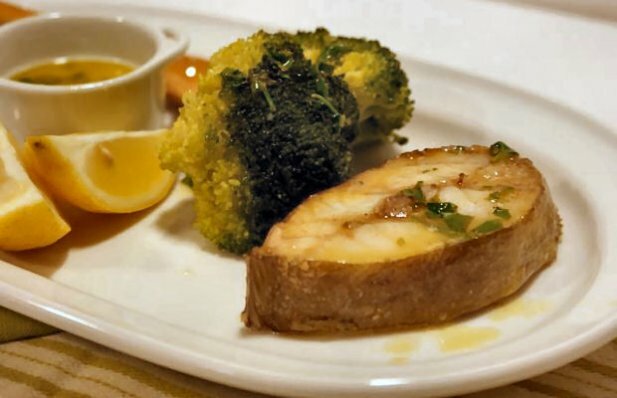 How to make Portuguese grilled grouper with lemon and butter sauce with coriander. Fire up the grill, brush the slices of grouper with a little olive oil and add them to the grill. When the fish is almost grilled, add butter and the lemon juice in a pan and let it boil until the butter has melted, than add the chopped coriander. Remove the fish from the grill, sprinkle with sea salt and drizzle with the lemon and butter sauce. How to make Portuguese Stuffed Squid (Lulas Recheadas). 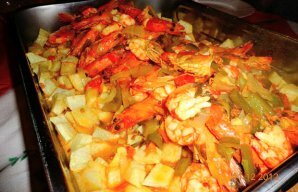 Serve this delicious Portuguese fried cod with shrimp (bacalhau frito com camarão) with Portuguese fries on the side. 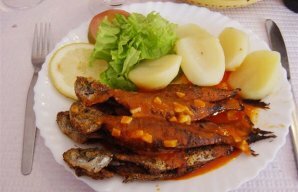 This molho de vilao is a traditional recipe for Portuguese fried fish sauce and it's delicious.